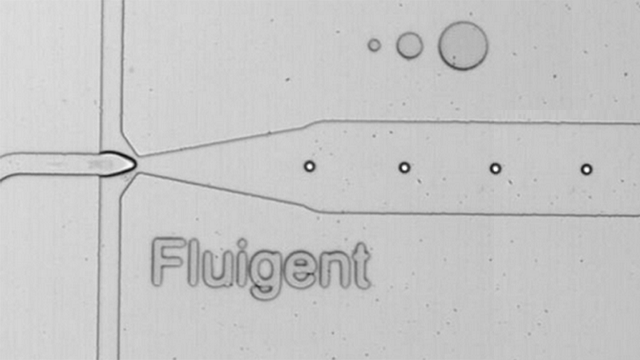 Fluigent LineUP™ series is a complete solution for using air pressure to drive fluid flow with the highest flexibility and ease of use. Chose the number of flow control modules the experiment requires and it’s ready to run. The LineUP™ is comprised of the Link to communicate with external devices and two software packages to work on more advanced protocols in minutes. 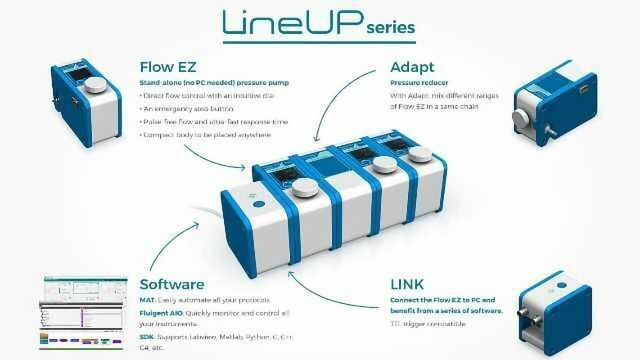 As applications change and require additional channels, new Flow-EZ modules can be added to the setup. Designed to gain maximum bench space, the MFSC™-EZ is a convenient multichannel microfluidic system. Pressure range can be choose for each channel for maximum customization. For the generation of water in oil droplets for cellular encapsulation.